A vital and concentrated essence that rebuilds the skin's skin deep and gives strength and compactness to the face. Shake well before use. On cleansed and toned face, take 4-5 drops, heat it in your hands and spread your fingertips from the center of your face towards the contours, avoiding direct contact with the eyes. Then proceed to the neck, starting from the chin to descend towards the decollete. Cross-Use Mode: One of the benefits of this face oil is the fact that it is multifunctional. It is a versatile product, to be used as a complete face treatment both as a shock action and as a ""magic"" ingredient to add to its foundation. Skin care tips: use it alone on face and lips for an shock action. Mix 1 or 2 drops of product to the usual face treatment to intense nutritional action. 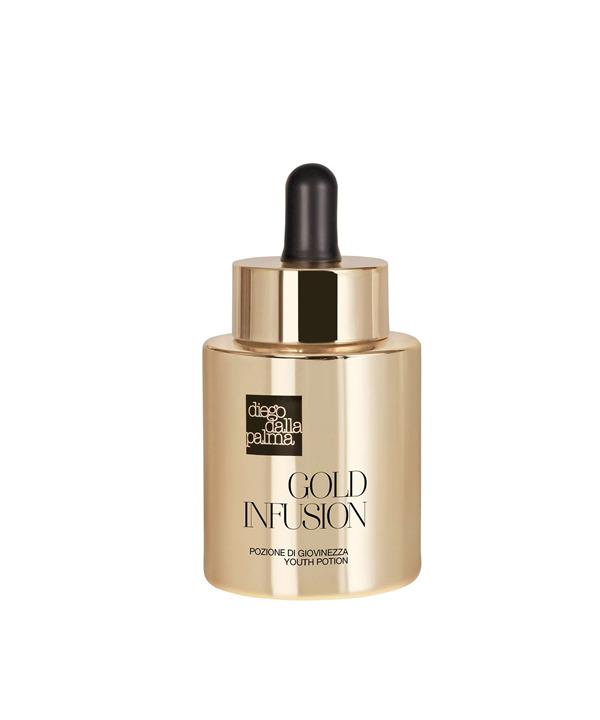 Make up tips dewy effect: this serum, thanks to the pure gold particles inside it, makes it possible to make a DEWY make-up effect. For a bright and silky face as kissed by the dew. Natural dewy effect: apply a drop of product on the cardinal points of the face (center, cheekbones, chin) and massage it evenly. Wait a few minutes and apply the primer using a sponge or brush. Alternatively mix a drop of product with the foundation and proceed with the application. Extreme dewy effect: lay the foundation on your face. Apply 1 or 2 drops of product on a sponge and tap. The base will be light and very natural.